Make a trip to the inside of your wardrobe. Organize, remember, experiment and play with all your clothes and accessories. Add the new purchases and combine everything. 1024 x 768 or larger display. 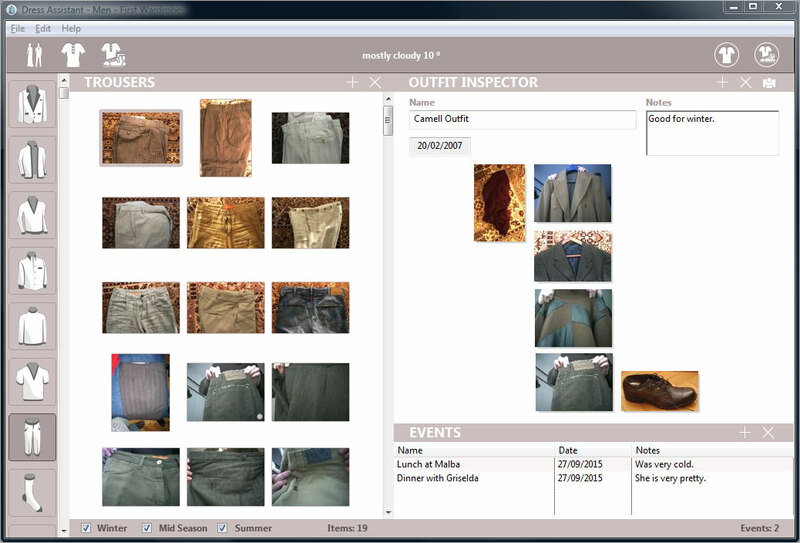 Dress Assistant is developed by Software de Arte, a division of Ediciones Fugaz Antorcha.